USA Decorative Lifering Mirror 15"
Wooden Vintage Dark Green Cape Rock Decorative Lobster Trap Buoy 15"
Deluxe Class Wood and Antique Brass Ship Stering Wheel Clock 24"
White Decorative Ship Wheel with Starfish 18"
Light Blue Japanese Glass Ball With White Netting Christmas Ornament 4"
Wooden Vintage Orange Cape Rock Decorative Lobster Trap Buoy 15"
Wooden Vintage Dark Red Maine Decorative Lobster Trap Buoy 7"
Solid Brass Theodolite Key Chain 5"
This Decorative USA Lifering Mirror 15" will compliment any beach living room perfectly. Combining patriotic colors of red, white and blue, this hand-stitched nautical lifering holds a mirror in the center which will assist you in lighting up your beach home, beach wedding decorations or beach themed party. Our life ring decorations are the perfect choice for any beach setting. 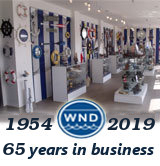 We offer over 100 unique decorative life rings sized and priced for everyones beach wall decor needs. 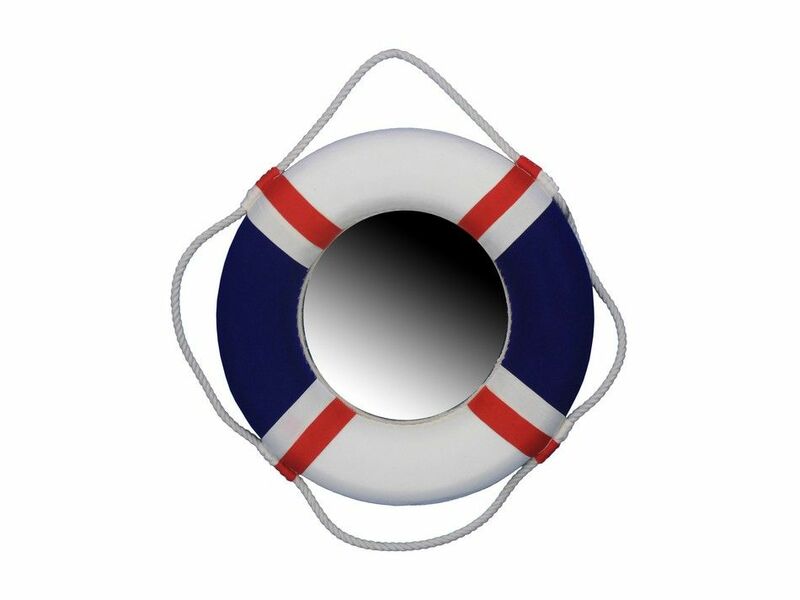 Life ring decor is available in various sizes and styles such as lifering clocks, lifering mirrors, antique life preserver rings and of course the classic traditional decorative life rings, ranging in sizes from 6 to 30 inches.